Our in-house chefs prepare a great variety of home-cooked meals. Time and again, we receive feedback from industry insiders that we have the best food in all Traverse City area senior living communities. We take pride in that fact! We are always open to requests and favorites, and we'd love to have prospective residents and their guest in for a meal with our residents. The great food, the lively interaction of the chefs with the residents, and the indepth conversation among residents, make meals a favorite time at Woodside Village! 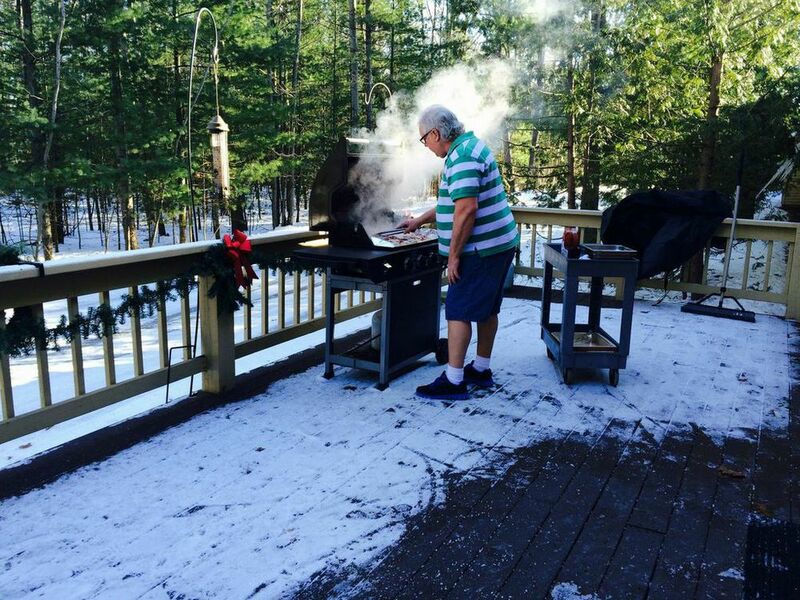 CHEF DEAN TAKES ADVANTAGE OF A SUNNY WINTER DAY TO PREPARE GRILLED CHICKEN FOR OUR RESIDENTS.